I’m not sure if everyone had this experience, but in my deconversion story Discordance and my other article Problem with Repentance, I pointed out that the main reason why I abandoned Christianity is I could not really know whether or not I’m saved, I can only believe that I am saved. Now, I understand that this is not sufficient to undermine Christianity but I would say that it has lead me to question whether any of this is true; Because atonement, for me at the time, was one of the main foundational pillars of Christianity, questioning atonement was really a hard blow on my faith. I would like to treat this essay (or article) as a sub-story of my deconversion. I find this to be very important part of why I deconverted but I want to make several things clear. First, this deconversion was strictly from being a Christian to being an agnostic deist (with nihilistic tendencies); in other words, I cannot prove that God exists but at the time I thought God’s existence was the only explanation for why the world (including morality) exists. Second, even if I am wrong about my views on salvation I don’t see this as a problem since as I grew up I matured intellectually and philosophically to the point that I understand that there are more problems with Christianity than I was previously aware of, so even if my problem with Christianity is not warranted I wouldn’t see this as a reason to return to Christianity. The main reason why I mention this is because I was worried that if I was wrong about this then I have to become a Christian but I realize how ridiculous this is; I have many more reasons, and even if I had none, I still would have no reason to believe in Christianity to begin with. With these in mind, I would like to explain what my problem with salvation is from the perspective of the seventeen year old with some more sophisticated college student interpretation that stays faithful to the spirit of the problem. When I was seventeen years old I really wanted to be saved and I was extremely scared of the fact that I might have committed blasphemy against the holy spirit. Because the blasphemy against the Holy Spirit was a very vague sin I quickly assumed that I could have committed it without understanding what it was (I currently see it as very vague). This has motivated me to understand how salvation works so I begin to read several devotional books and some important passages from the bible. However, overtime, I realize that I cannot know that I am saved for the following reasons. First, the books of Romans said that nobody can be repentant except through God, which made me think that somehow I cannot be repentant on my own so I must somehow communicate with God in order to become repentant. But this idea made no sense to my seventeen year old mind at all. While it still does not make any sense to me, my seventeen year old mind just could not pin down why there this idea was so incoherent and nonsensical. It was only after a couple years later when I read the Biography of Immanuel Kant who complained that “repenting that you are not repentant enough so God can make you repentant through the Holy Spirit.” After reading that passage it made so much sense to me why it made no sense at all! If you cannot be repentant without God to begin with, then how can you be repentant for not being repentant enough? If God made you repentant then doesn’t that imply that somehow this cannot be your fault for being incapable of being repentant? I mean, the airplane barely lifts off the ground to fly, so why blame the pilot for not being a qualified pilot? It just made no sense to me. The whole point about salvation is to believe that you are saved because you believe. 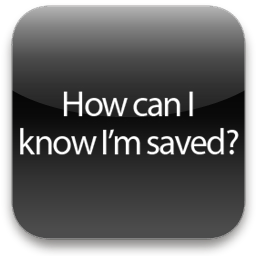 Second, how do I know that I am saved? This perplexed my seventeen year old mind for quite a while. I just could not know how I am saved; which part of my personal experiences (or clusters of my personal experiences) are indicative that I am saved? People suggested to me that if I had the experience then I would know, but then I asked myself “but what if that I am wrong to believe that personal experience means that I am saved?”. I mean isn’t that possible? Isn’t it possible that either the devil made you think that way or that you unconsciously self-deceived yourself to believe that way? At the time that’s what I thought: I just could not rule out other explanations that say that I am not saved. I think the second problem then leads to the third problem: The whole point about salvation is to believe that you are saved because you believe. This is the point that the books of Romans make, but somehow it just didn’t work for me; it didn’t convince me. The reason being is that I can believe that I am saved, but is that belief true? How do I know that it’s true? Is it because of emotions or spiritual experiences? If so, which ones? How do I know which one of these experiences indicates that I am saved? The only answer I got from most Christians was “Stop thinking too much, just have faith!” Well, I couldn’t. I couldn’t just believe I find it too difficult because it doesn’t answer my question: How do I know? Eventually this became an emotional problem which leads me to abandon Christianity but never lead me to abandon the existence of God until two years ago. I look back at this event wondering to myself if I made the right decision but by reflecting on this I came to the conclusion that even if I’m wrong about my reasoning I still have no reason left to believe in Christianity any better than Islam or Judaism. However I look at this experience positively as an event that lead me to become the kind of person that I am proud to be.